We’re thrilled to announce the World Music Village lineup for 2018! Curated by global charity Arms Around the Child, the World Music Village is an unmissable fundraising celebration of cultural diversity. 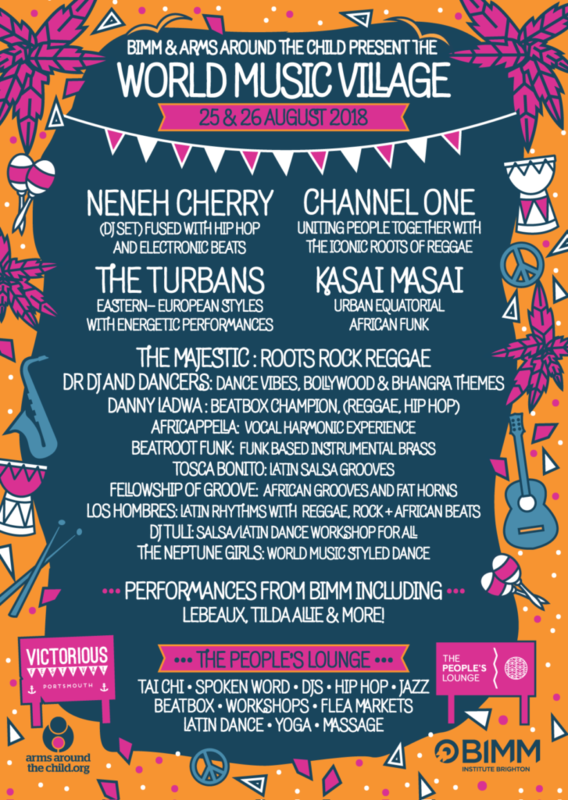 We’re thrilled to welcome back Neneh Cherry who had the whole village grooving back in 2016, along with the legendary dub reggae sounds of Channel One, the energetic and international sound of The Turbans and loads more! 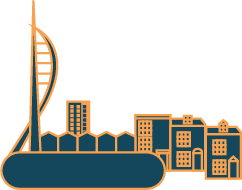 The line up will also be boosted with talent from BIMM. This award-winning music institution will be introducing some of the budding and fresh young talent coming out of their world-renowned music school as well as supporting the event behind the scenes. 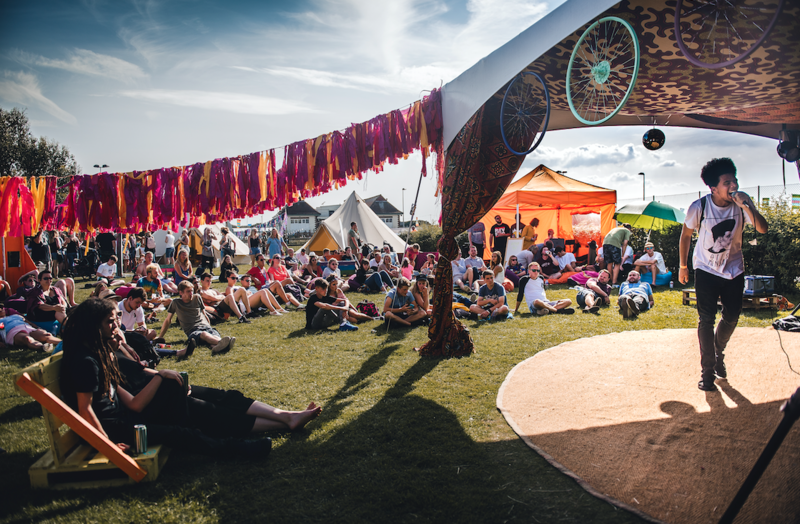 Alongside the world music line up, you can also discover spoken word, visual art, Tai Chi, Yoga and workshops throughout the weekend. Tickets for Victorious available here!